While it may be the most popular game on Earth, not everyone watching the 2018 World Cup is a soccer expert — and that may include you. No worries. We're here to help you out with some snack-sized knowledge to get you sounding like a pro. It's that time again — when people across the globe gather in large groups to cheer on their football (soccer) heroes for an entire month. Yes, it's time for the 2018 World Cup — now with 100 per cent more Vladimir Putin! While it may be the most popular game on Earth, that doesn't mean everyone watching the action from Russia is a soccer expert — and that may include you. No worries. We're here to help with some easily digestible, bare-bones info on each of the tournament's 32 teams — including a "ludicrous display of knowledge" (hat tip to The IT Crowd) — to get you sounding like you know what you're talking about (even if you don't). A reminder: perennial favourites Italy and the Netherlands are not in this year's edition. Perennial disappointments will also be missing (howdy, United States! ), as will perennial no-shows (Oh, Canada...). Interesting World Cup stat: Egypt is making its third appearance at the World Cup, and first in the last 28 years. Ludicrous display of knowledge: As goes Salah, so goes Egypt. The Liverpool star scored 71 per cent of the team's goals in Russia 2018 qualifying. But will he be healthy enough? Interesting World Cup stat: The Russians have not advanced to the knockout round since they were known as the Soviet Union in 1986. Ludicrous display of knowledge: As hosts, the team automatically qualified for the World Cup. And it's a good thing it did because the team has zero wins in the five friendlies it played ahead of the tournament. Interesting World Cup stat: Saudi Arabia last won a World Cup match in 1994, the only year the country advanced past the knockout stage. Ludicrous display of knowledge: Ahead of the World Cup, Al-Sahlawi spent three weeks training with Manchester United to prepare for the tournament. Interesting World Cup stat: This will be the country's 13th World Cup appearance, have advanced to the semis five times, and is a perfect 2 for 2 in the final (1930, 1950). Ludicrous display of knowledge: Small but mighty. Uruguay is the smallest country in the world, in terms of population, to have won a World Cup. It had a population of 1.75 million in 1930 when it captured its first World Cup. The next-smallest winner? Argentina, which won in 1978 with a population of 28 million. Interesting World Cup stat: This will be the country's fifth appearance in the World Cup, and the aim is to advance to its first knockout stage, according to Portuguese coach Carlos Quieroz. Ludicrous display of knowledge: The top-ranked Asian squad went near-perfect through the region's qualifiers, going undefeated while only conceding a couple of goals. Interesting World Cup stat: Morocco hasn't seen the World Cup stage since 1998, but has tasted the knockout round before, advancing to the round of 16 in 1986. Ludicrous display of knowledge: The country has a hosting bid in for 2026, but faces competition from a joint North American bid. Interesting World Cup stat: The team has two semifinal appearances, but its best result was a third-place finish in 1966. 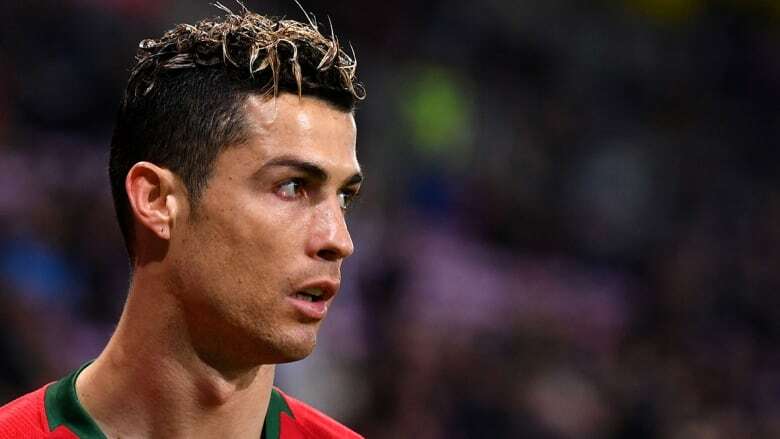 Ludicrous display of knowledge: Portugal comes into Russia ranked fourth in the world, but also boasts perhaps the best player in the world in Ronaldo, who has won that honour the last two years. Interesting World Cup stat: Spain has 14 World Cup appearances in 18 campaigns. Ludicrous display of knowledge: The 2010 World Cup champions enter Russia as the eighth-ranked squad in the world, and look more than capable of making another appearance in the knockout round. Interesting World Cup stat: Australia's best result is making the round of 16 in 2006. Ludicrous display of knowledge: If Cahill scores in Russia, he would be one of the few players to have ever scored a goal in four World Cups. Interesting World Cup stat: Despite playing in just a few World Cups, Denmark has more wins than losses in tournament play (8-6-2) and only failed to reach the knockout stage once (2010). Ludicrous display of knowledge: Goalkeeper Kasper Schmeichel's father, Peter, played for Denmark from 1987-2001, and was named one of the top 10 goalies of the 20th century by the International Federation of Football History & Statistics. Interesting World Cup stat: Last time France made the World Cup final, in 2006, it butted heads with Italy before falling 5-3 in penalties. Ludicrous display of knowledge: Described as a "huge football talent" by Arsene Wenger, 19-year-old Kylian Mbappe will have a chance to show the world that he is the present, as well as the future, of French soccer. Interesting World Cup stat: When Peru last qualified for the group stage in 1982, exactly zero players on the current roster had been born. Ludicrous display of knowledge: The country's all-time top scorer, Paolo Guerrero, had his 14-month doping suspension lifted by the Court of Arbitration for Sport in May, lending him 11th-hour eligibility to compete in the World Cup alongside Farfan, whom he has known since they were 12. Interesting World Cup stat: Almost missed its first World Cup since 1970 before Lionel Messi's away hat trick against Ecuador helped squeak his side in at the last second. Ludicrous display of knowledge: Argentina shuffled through three coaches during qualifying before settling on Jorge Sampaoli, a 57-year-old who runs a high-press, attacking system. Still, Argentina's hopes to win its first World Cup since 1986 lie with Messi. Interesting World Cup stat: This will be Croatia's fifth World Cup appearance; the country hasn't advanced past the group stage since it reached the semifinal 20 years ago. Ludicrous display of knowledge: Fans threw flares on the field during the 2016 Euro Cup to protest a Croatian Football Federation that has been accused of widespread corruption. Modric lost popularity in the country after siding with the federation in court. Interesting World Cup stat: Iceland, the smallest country to ever qualify for the World Cup, is making its first-ever World Cup appearance. Ludicrous display of knowledge: Sigurdsson led all players in goals during qualifying; however, he injured his right knee in March and only just made his return to the pitch in a friendly loss to Norway. Interesting World Cup stat: Qualified for five of the previous six World Cups and only won five of 18 games while there, but still managed to advance past the group stage three times. Ludicrous display of knowledge: Top goalkeeper Carl Ikeme has not played since announcing in July that he was diagnosed with acute leukemia. Interesting World Cup stat: Brazil is the last country to win back-to-back World Cup championships, in 1958 and 1962. Fans would prefer to forget the 2014 World Cup in Rio, when Brazil fell 7-1 to Germany in the semifinals before conceding a 3-0 loss to the Netherlands for third place. Ludicrous display of knowledge: Neymar made his return from a four-month injury absence in June against Croatia and immediately scored the opening goal. Interesting World Cup stat: Lost 4-3 on penalty kicks in the 2014 World Cup quarter-finals to the Netherlands, which didn't even manage a berth in this year's edition. Ludicrous display of knowledge: Vancouver FC captain Kendall Waston stars as part of coach Oscar Ramirez's strong defensive outfit. Interesting World Cup stat: Switzerland's last quarter-final appearance came on home soil in 1954 during a 7-5 loss to Austria. Ludicrous display of knowledge: The Swiss play with just one striker up front, preferring to win with strong defensive play led by captain Stephan Lichtensteiner. Interesting World Cup stat: Serbia fell in the group stage of its last World Cup appearance in 2010, but not before picking up a marquee 1-0 win over Germany. Ludicrous display of knowledge: The Serbians scored 20 goals in 10 qualifying games, but intend to take a more conservative approach once the group stage kicks off. Interesting World Cup stat: The top-ranked defending champs likely won't be happy with anything less than a semifinal berth, having made an appearance in each of the last four World Cups. Ludicrous display of knowledge: On top of its four championships, Germany has reached at least the quarter-finals in 17 of its 18 World Cup appearances. The team's worst-ever finish was 10th in 1938. Interesting World Cup stat: The Koreans will be making their 10th World Cup appearance, which is the most of any Asian nation. Their best result was fourth in 2002, when they co-hosted with Japan. Ludicrous display of knowledge: Decided long shots to get past the group stage, the team nonetheless faces a lot of pressure from its fans. Upon arrival at the airport following a disappointing group-stage exit in 2014, the fans showed their dissatisfaction by pelting the team with toffees. Interesting World Cup stat: The Mexican squad is going for its seventh consecutive berth in the round of 16, but has only reached the quarter-finals twice (1986, 1970). Ludicrous display of knowledge: Before its recent string of success, Mexico was hit with a cheating scandal that saw the Mexican Football Federation knowingly use several overage players in a U-20 tournament. FIFA banned the country from international competition at all levels from 1988-1990, forcing them out of the 1990 World Cup. Interesting World Cup stat: In 11 appearances, the Swedes have had two third-place finishes (1950, 1994), a runner-up result (1958) and advanced to the knockout stage the past two times they qualified (2002, 2006). Ludicrous display of knowledge: An underdog in a tough Group F, Sweden earned its spot in Russia by upsetting the World Cup stalwart Italian squad 1-0 on aggregate in a playoff, ending Italy's string of 14 straight appearances. Interesting World Cup stat: Ranked third in the world, this version of the Red Devils is widely regarded to be the best Belgium has ever fielded. The team's best-ever result was a fourth-place finish in 1986. Ludicrous display of knowledge: While several players from the 2014 squad are returning hoping for better results, Belgium's coach Roberto Martinez will be making his debut at the World Cup in Russia. He replaced Marc Wilmots in 2016 having only coached at the club level in England. Interesting World Cup stat: England made its debut in 1950 in Brazil. It has captured the top prize only once, as host in 1966. Ludicrous display of knowledge: Each of the 23 members of the team plays in England's Premier League, making this the only World Cup squad that is entirely based in its own country. Interesting World Cup stat: With an impressive mix of veterans and fresh-faced talent, Panama gets to make its first impression on the World Cup in Russia. Ludicrous display of knowledge: Panama's first berth didn't come without some controversy, as a "phantom goal" was awarded in a deadlocked CONCACAF qualifying match against Costa Rica. Panama went on to clinch its spot in the World Cup with a 2-1 win despite the second goal not appearing to cross the goal line. Interesting World Cup stat: Although they've made four previous World Cup appearances (1978, 1998, 2002 and 2006), the Eagles have never advanced past the group stage. Ludicrous display of knowledge: Tunisia made history during its 1978 debut in Argentina when it stormed back from a 0-1 halftime deficit to defeat Mexico 3-1, becoming the first African nation to win a World Cup match. Interesting World Cup stat: Colombia reached its first-ever World Cup quarter-finals in 2014. Ludicrous display of knowledge: After scoring six goals in five games, Rodriguez won the Golden Boot in 2014 and befriended a giant grasshopper in the process. Interesting World Cup stat: Japan made its first appearance in 1998, and the furthest it has advanced is the round of 16, twice (2002, 2010). Ludicrous display of knowledge: Japan fired coach Vahid Halilhodzic just two months ago due to communication issues with the team amid what the Japanese soccer association called "an urgent situation." Akira Nishino, the association's former technical director, was named head coach the same day. Interesting World Cup stat: Poland finished in third place in 1974 and 1982, but has only qualified for the tournament four times since. Ludicrous display of knowledge: Poland could be the most exciting team at the World Cup, as it averaged almost three goals per game during qualifying while allowing more than any other group winner. Interesting World Cup stat: Senegal returns for only its second World Cup appearance after reaching the quarter-finals in 2002. Ludicrous display of knowledge: Coach Aliou Cisse captained the Lions team that surprised everyone 16 years ago, and the current squad has the potential to follow suit. But whether Cisse can hone the talent available remains to be seen.